How can I help? Contact de Jong, R. Psych. #1529. Please feel free to call me at (604) 999-5809 or send me a message day or night using the form below. 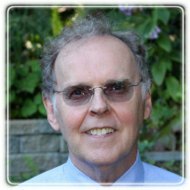 Dr. de Jong is a registered psychologist who uses proven therapy techniques to help clients with a variety of issues including anxiety and panic, post-traumatic stress and depression. His caring attitude and experience will help you with whatever issues you are facing.